to become one new agency, after many Australian staffers first saw the news overnight on Facebook. The announcement was globally planned and all staff were hit with an email at the same time, which unfortunately for the time zone in Australia, was late last night. This meant some people spotted the news on news platforms or on social media sites, instead of in their work emails. Early morning meetings were scheduled for today to brief all staff as soon as possible. Staff also took to Facebook to share their disbelief of the move. “How am I finding out about this via Facebook,” said one MEC employee. One MEC exec said: “I guess this is what today was supposed to tell us”. 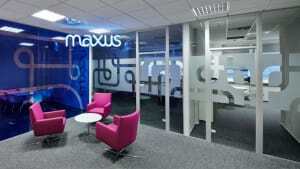 The MEC and Maxus merger will see a new agency arise in the GroupM stable, under a new, yet to be announced, name. 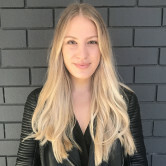 Speaking to AdNews, a GroupM spokesperson said: “There was a thorough internal communications program starting from Kelly Clark (CEO) to all employees, with many layers of outreach within each agency to their people. It’s not clear what this will mean for the national agency heads here in Australia; MEC’s James Hier and Maxus’ Mark McCraith, or how conflict clients will be dealt with. Between now and December a decision will be made on which of the CEO's will lead the new agency. Tigerair is believed to be the only conflict client of the Australian agencies as MEC currently works with the airline and Maxus has Jetstar. As the merger is put into place, Tigerair or Jetstar could be up for pitch. MEC and Maxus staff have been left somewhat rattled following news that the two agencies would merge to become one new agency, after many Australian staffers first saw the news overnight on Facebook.